is making so much progress. The staff really show that they care." "Couldn’t get a better education"
behave well throughout the school"
treat them like a second family"
Hillingdon Manor is an independent specialist school for children on the autism spectrum between three and a half and nineteen years of age. 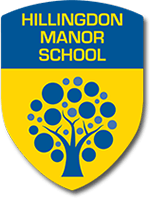 Hillingdon Manor School strives to provide effective, specialist education and support to pupils with an autistic spectrum condition and their families, which will allow pupils to achieve their full potential in education and life. 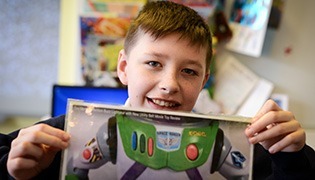 Located over two sites for primary and secondary, the school offers a unique mix of education and support to pupils within a wide spectrum of needs and abilities. Personalised teaching and learning in an autism specific environment allows pupils’ individual needs to be addressed completely and their capabilities fully realised. Hillingdon Manor School actively promotes British Values of democracy, rule of law, and the rights of the individual in the context of the tolerant and diverse society of modern Britain. We ensure that respect for both criminal and civil law are embedded in the curriculum and explicitly taught as part of the life skill of distinguishing right from wrong. 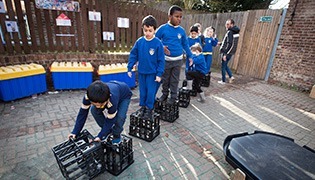 Hillingdon Manor School promotes principles which provide students with a broad general knowledge of public services, public institutions and the voluntary sector in England. To see the latest Newsletter, please click here. Our Primary setting is located at Yiewsley Grange, where we have classes from early years foundation stage up to year 6. Our secondary site is located at The Manor where we have provision for Year 7 up to Year 14.